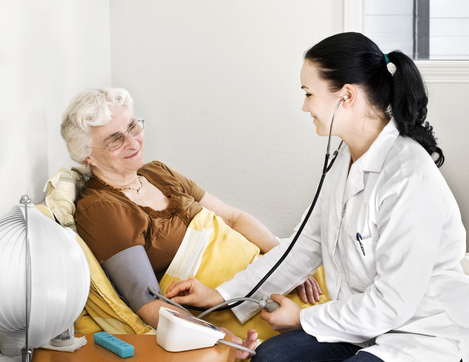 Home health care agencies offer services that address the everyday care needs of our elderly loved ones. This includes services such as personal care, respite care, and skilled nursing, among others. But the one service that is usually relegated to the side is the Companionship care. The years of experience as a home health care in Virginia has us knowing how damaging the lack of companion can be; the primary reason being that loneliness and the feeling of isolation is an inevitable part of our elderly loved ones’ journey in their golden years. And having a perfect companion is one sure way to combat this. More than the negative experience of feeling lonely, there are science-backed facts that point to the overall deterioration of health of our elderly loved ones when they’re feeling the blues. This includes, in particular, a greater risk for memory loss, Alzheimer’s Disease, stroke, poor immune functioning, high blood pressure, and even death. In fact, according to the American Association of Retired Persons, the health risks equal to smoking 15 cigarettes a day. As an elderly home care in Virginia offering companionship services, we make it a point to not only provide a daily companion to our clients, we also make sure that they are able to foster bonds with them. The risks that come with loneliness signify the importance of human touch. It tells of the age-old fact of the very human need for interaction. Companionship, thus, is the heart of elderly health. Entrust your elderly loved ones with us at Caring Hands Healthcare Solutions LLC, a homecare agency in Fredericksburg, Virginia committed to easing their journey to overall wellness and good health. This entry was posted in Home Health Care and tagged Elderly Home Care, Home Care Services, Homecare Agency. Bookmark the permalink.